This fully adjustable sports armband is ideal for listening to your music while you are out cycling, walking, jogging or exercising! It is made of water resistant neoprene flexible material and is designed to carry your mobile phone securely on your arm. Comfortable and lightweight, this armband can be worn on either arm. Ultra-Lightweight: The ultra-lightweight material is long lasting, super strong and extra durable. Don't risk your £££ Smartphone? Treat yourself to the very best TODAY!! SUPER GRIP: The Neoprene material is soft and will not ride up when you are training, jogging or during workout. 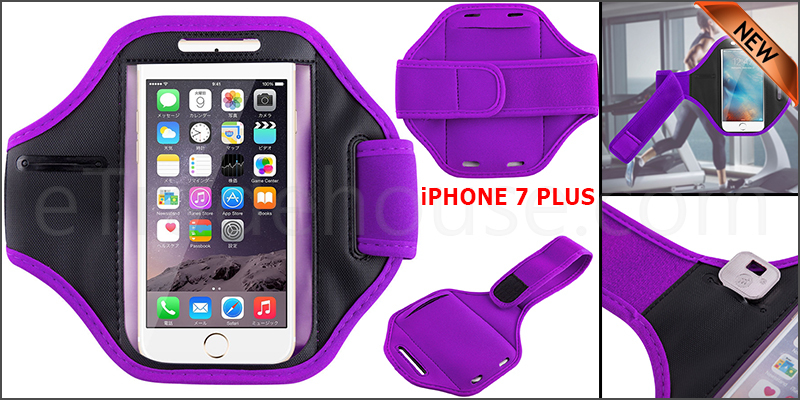 Adjustable Arm Band: Adjustable Armband gives you the versatility of carrying your mobile phone in a variety of ways. Phone Features Access: Unique design allows easy access to all functions without having to remove the skin. Listen to music, take calls and track your fitness, without the inconvenience of removing your phone.